I would LOVE an updated version/new version of this book! A lot has changed! Did Tigerstar Really have nine lives? It might’ve looked like it, but there could be an explaination behind it. Scourge killed Tigerstar once, and taking notice that he hadn’t lost a life yet made me think. Plus – Who is their right minds would give Tigerstar nine lives? Tigerstar did have nine lives, but Scourge’s hit was so severe that even starclan couldn’t heal it, resulting in the loss of all nine lives. Thistleclaw,Pinestar,Lepardfoot,and their other kits,could have given him lives. That would be 5 lives. Possibly Sasha and Tadpole. That would be 7. Uh. . . maybe Goldenflower,so 8. 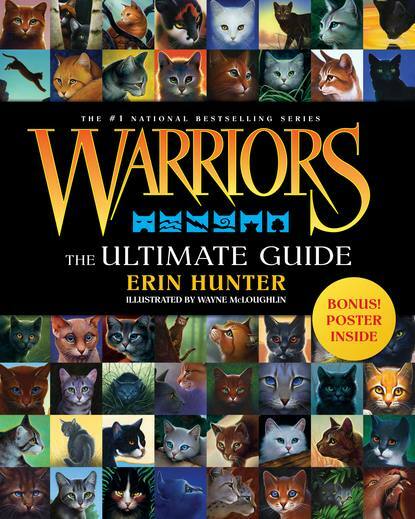 What were tigerstars nine lives?how could scourge kill with one blow?I’ve also heard that dark forest cats can give lives…….maybe dark forest cats gave tigerstars some of his lives??? That is a good theory! Tigerstar did have nine lives. But I did have one idea. Scourge may have hit Tigerstar very hard, but could him dying could be part of the fact he didn’t use all his lives (if that makes any sense). For example, Littlebird gave him a life of compassion, but I’m pretty sure he didn’t use that. And Mossheart gave him a life of mercy. That he defiantly did not use that. I’m not positive this is part of it, but if anyone agrees please tell me! That makes sooo much more sense!!!!! Great theory! Kate why didn’t Brindleface tell Cloudtail that he had kitteypet blood? That was probably a mistake. In most (well, all) of the books, it says she has green eyes. This book should really be updated. They leave out so many cool characters!